How do you track student mastery? Do you use formative assessments to design units and summative assessments to assess growth? How do you measure student growth? When I first started teaching, I spent an inordinate amount of time attempting to track data in a steamlined way. The problem, I realized, was that I didn’t have a central tool I was using to track data. As a result, I spent a lot of time trying to make meaning of student progress in isolation, and I was never able to track or analyze student growth over the course of the year. As a result, I began to develop a better system for tracking. I found ways to automate Excel using formulas, conditional formatting (color codes cells based on values), and data validation (allows you to select from just a few options). Watch this video for an overview of what it means to use data to drive instruction and the features of an effective mastery tracker. Watch this video for a demonstration showing how to use the TNReady mastery tracker and how this tool can help teachers everyday. This mastery tracker is design specifically for TNReady ELA. You can easily adapt the tracker (as shown in the video above) by adding your own standards. You can get the tracker here on my Teachers Pay Teachers Store. 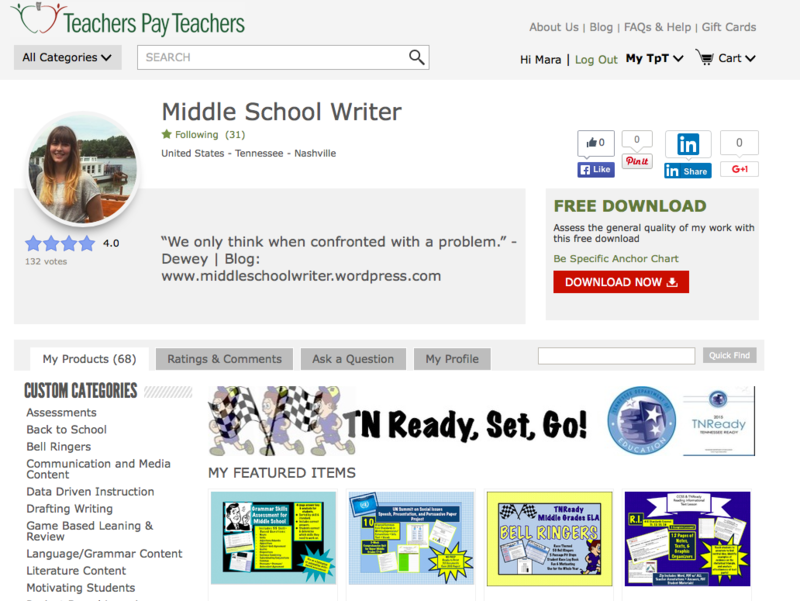 Looking for Middle School ELA Lessons, Assessment, Motivational Tools, Anchor Charts, and More? This Pinterest Board includes all ELA Lessons and Links to the Plans, Assessments, and More!